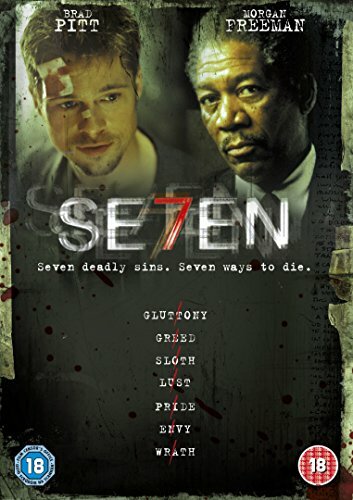 Se7en is one of the more recent movies on my list, but for some reason I never saw it until now, despite being aware of it since it’s 1995 release. In many ways, this is a classic detective movie, following the murder investigation by Det. Somerset (Morgan Freeman) and Det. Mills (Brad Pitt). Where this differs from the likes of Columbo or Quincy is that this is far darker and more graphic. There were a couple of moments where I thought I’d figured it out, only to be completely wrong. It’s the hallmark of a great film that can keep you guessing about the outcome right up until the end of the movie, and this certainly did that. Morgan Freeman is one of my all time favourite actors, and ignoring any off screen controversy, Kevin Spacey was amazing in this. The one thing that really surprised me, and I’m trying to think if I’ve ever seen this happen in any other movie... the bad guy actually wins! I mean he doesn’t make it out of the film alive, but he executes his plan, and it all works as he intended. I find it very strange that the ending left me feeling ‘satisfied’ for want of a better word, with the completion of the story, despite not being a ‘happy ending’. This was an awesome movie, but not sure I’d rush to see it again now that I know the plot and the ending. I guess I’ll just have to wait until I’ve forgotten it completely!